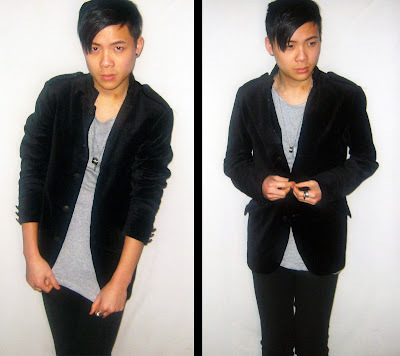 Style Diary - Velvet Crush? I'm a fan of the shade of Black, that and the textures that you can get in the shade. Before I felt for Europe I actually bought a few metres of black velvet to be used at a later date. I found this Velvet Blazer from H&M when I was in Edinburgh, though with the amount of clothes I'd already purchased I left it alone. However the following week in London I spotted it again in one of the many H&M stores in Oxford Circus.